Australia's bus operators are about to see more goannas on the road - not the indigenous reptile kind, but the 28-seat, bus-shaped, people-moving Goanna minibus from Yutong. No more stooping as you climb on board, the Goanna looks like any 40-plus seater coach, scaled down to compete in the small bus segment with Toyota Coaster, Fuso Rosa, and Higer's Munro. 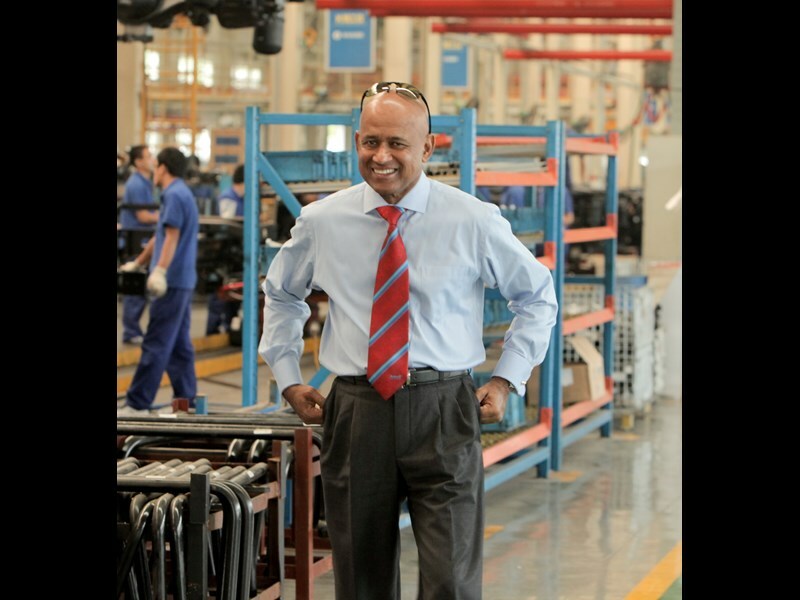 "It initially started with a request from a school," says Peninsula Motor Group Managing Director Dilip Kumar. "The average classroom size is 27 students, and, when the teacher takes a class out, they have to hire two buses. "At the moment, it takes two teachers out of the school if you use a Toyota Commuter bus which takes 14 or a Coaster which is 21, and a Rosa which has 25," he says. 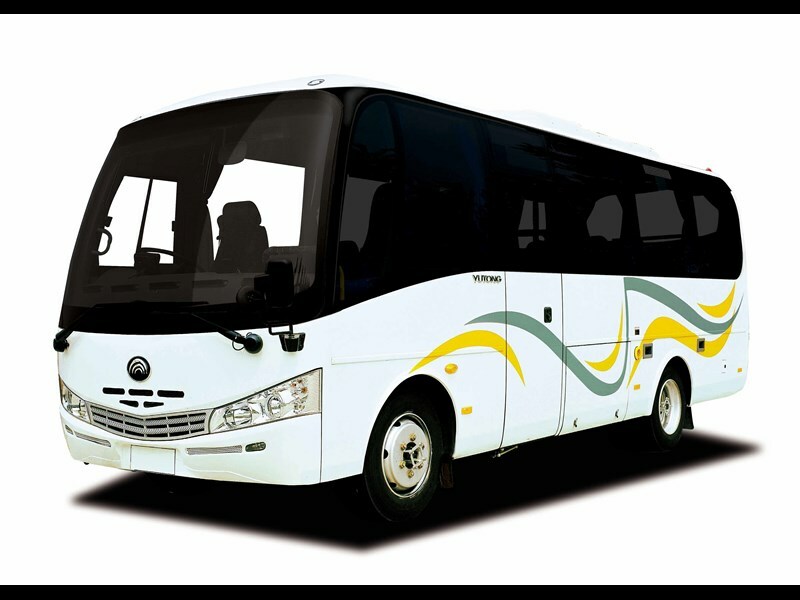 Kumar's offering as Yutong's Australian distributor will introduce a market demand-ready minibus, designed for comfort, durability, increased head room and bus-based specifications. "What schools are looking for is a bus with all the safety features of a school bus, including rear and internal cameras, elevation, and cordless microphone for the driver," Kumar says. "They also wanted an area to put bags in, because most of these smaller buses have no luggage carrying capacity." Unlike its competitors, the Goanna has luggage space at the back of the bus. Kumar points out - and at first glance, it is immediately obvious -the Goanna is not a 'stretched out van'. With its stainless steel bus-engineered and designed body cage, Kumar sees the fully-framed Goanna as a potential VIP coach which competitors may attempt to copy. "This is like getting into any large bus, standing up, and walking down the middle, through to fully-sized, coach-style seating with seat belts," he says. The Goanna measures 1.93m high and 2.32m wide, and uses a UK-built Cummins engine and larger Allison 2000 series gear box for greater towing power. The Goanna also comes crash and roll tested, and, with its stainless steel frame, has been electroplated through three 'swims' at Yutong's well-renowned electroplating tanks. "You can get 27 year 12 students in there without being 'squashed up', with room for their baggage, and give the teacher the confidence of looking in the camera and seeing what's going on," says Kumar. "People don't want to go on a long trip being squashed up, and we think clubs, schools, and rental companies will go for this," he says. With a small bus market in Australia at around 2,000 units a year, the Goanna might soon be poking its head up in community transport and shuttle service applications, across the country. And Dilip Kumar could be well-justified with his move into the small bus market: "This is going to be exciting." Kumar has 12 Goanna minibuses arriving in February, following the purchase of the first unit bought by the NSW branch of the Royal Life Saving Society's Castle Hill training facility in Sydney. "We have a number of schools around Sydney which have made appointments to see us about these buses," he says. Dilip Kumar, through Peninsula Motors, is looking to attract the interest of a high visibility operator working the airport shuttle market. "High visibility would help us no end," he says. "Many of these smaller buses end up at the same place - airports and tourist destinations." Having spent decades as a principal dealer and distributor in the motor vehicle industry, Kumar is very aware of the power of 'word of mouth' testimonials. He knows that drivers, particularly bus drivers, talk to each other and word of a 'bad bus' will get around quickly. "The reverse also happens if you have a good bus, and that is the form of marketing we hope to get," Kumar says. The strategy behind Peninsula Motors recent entry into the bus supply market through Yutong is pitched around the Goanna. The Goanna automatic 28-seater comes in at a price point below Coaster and Rosa, and slightly above other entrants, including Higer. Kumar says pricing will target mainly Rosa's market share. "When you look at the history of the car industry in Australia, and the entrances made by both Toyota and Nissan, they got in at ground level with small vehicles," he says. "Toyota came up with the Corolla and Nissan, the Sunny (Datsun 1000)." Kumar recalls how General Motors, Chrysler and Ford saw the small car market as a non-profit area, opting to stick with large family sedans. "As we know now with hindsight, the large car makers made a huge mistake," he says. He also points to a similar situation affecting business machine giant Xerox, allowing companies (including Sharp and Ricoh) to come in with small machines and slowly move to bigger machines. "We thought we would concentrate on the smaller end of the market and perfect the models," Kumar says. "Our plan is to get the name out, get established, and get a reputation that will help us with larger vehicles down the track (which we are bringing out as well) while we concentrate on this niche." Kumar says it is well within reason there could be hundreds of Goannas on Australian roads within a year. "That would be a nice start," he says. And for any community driver or school teacher who might see themselves as a 'bus driver', this could be just the vehicle to drive - effectively a bus, not a van. 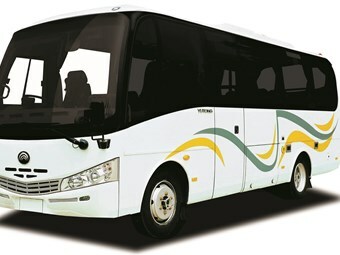 Find Yutong buses for sale. Search for new Yutong specs.